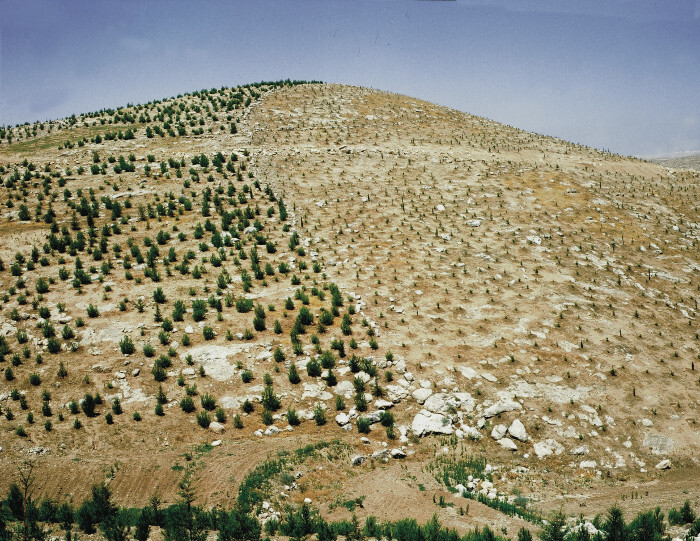 Many attempts to forest and reforest Israel have taken place during the last three millennia. Harold E. Dregne wrote, “Removal of trees and shrubs to provide fuel and construction materials for the railroad built by the Turks in World War I was but the last instance of the deforestation that began with the destructive felling of the Cedars of Lebanon, Syria, and Jordan 3,000 or more years ago.” So much time has passed since each period of deforestation in Israel, that much of the land became barren and desolate. Félix Bonfils (1831-1885); W.C. Prime, ‘Tent Life in the Holy Land’, 1857. Theodor Herzl planted a cypress tree, 1898. Photo “Trees for the Holy Land”. 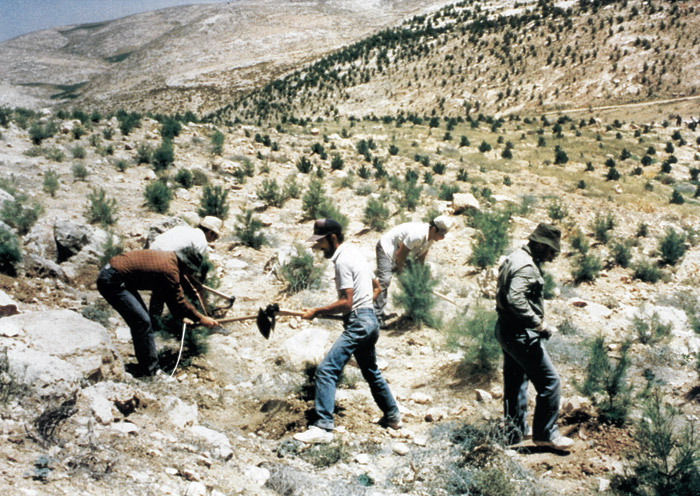 The desire to reforest Israel became the work of both afforestation, “the establishment of a forest or stand of trees in an area where there was no previous tree cover,” and reforestation, “the reestablishment of forest cover, either naturally (by natural seeding, coppice, or root suckers) or artificially (by direct seeding or planting) (“Afforestation”). 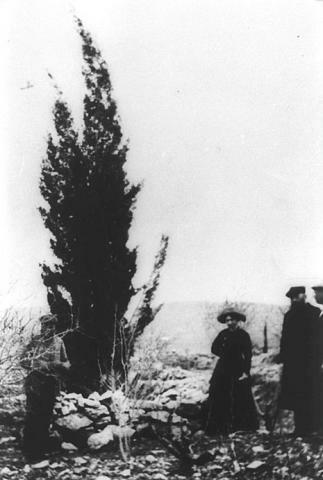 In his 1898 visit to Israel and Jerusalem, Theodor Herzl planted a cypress tree (“Theodor Herzl”). Unfortunately, it was cut down by the Turks during World War I.
Pine tree seedlings for planting at Kibbutz Ein Hashofet (Ephraim Hills in central Israel), 1937. 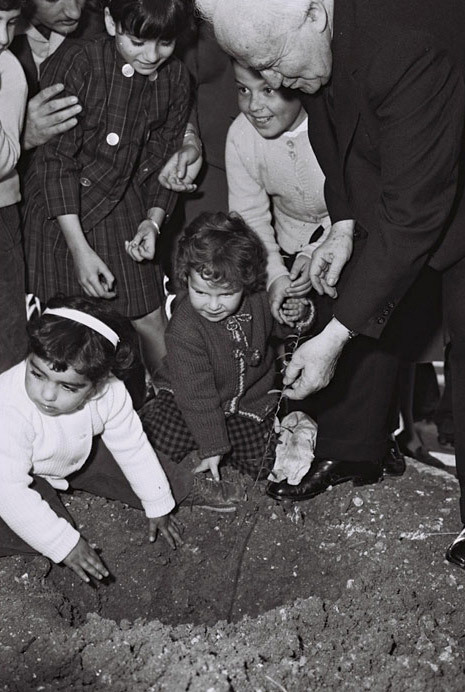 Israeli Prime Minister David Ben Gurion planting trees with kindergarten children on Tu Bishvat, 1963. The Jewish National Fund began its tree planting program in earnest in the 1930s and gained momentum in the 1940s, which carried it forward to modern times. 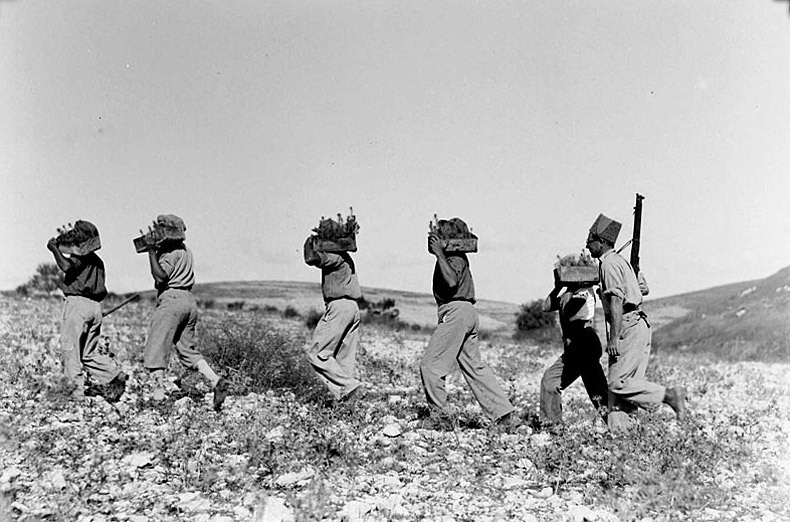 David Ben Gurion, first Prime Minister of Israel, once declared, “I do not know if there is a more fruitful enterprise whose results are as useful as the planting of trees” (“The Reforestation Of Israel”). 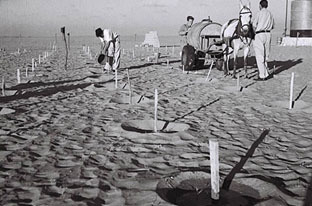 Kibbutzniks planting trees at Kibbutz Beeri in the Negev Desert, 1947. Photo “Trees of the Holy Land”. Kibbutz Beeri in the Negev Desert, 2012. Planting trees on Israel’s desert hills, 2015. Photo “Trees for the Holy Land. New seedlings and new growth trees on Israeli desert hills, 2016. One of Israel’s many forests today. Israel is one of the few countries that had more trees at the beginning of the 21st century than it had at the start of the 20th. The Jewish National Fund (JNF) had planted more than 240 million trees in Israel, including 12,500 acres of forest every year. 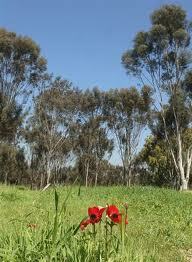 Israel has over 150 nature reserves and 65 nation parks. Tu B’Shevat, the “New Year of the Trees,” is a popular Israeli holiday. Children and adults celebrate by planting trees throughout the country. Since 1900, almost 250,000,000 trees have been planted in all regions of Israel from the Golan and Galilee in the north to the Negev in the south. 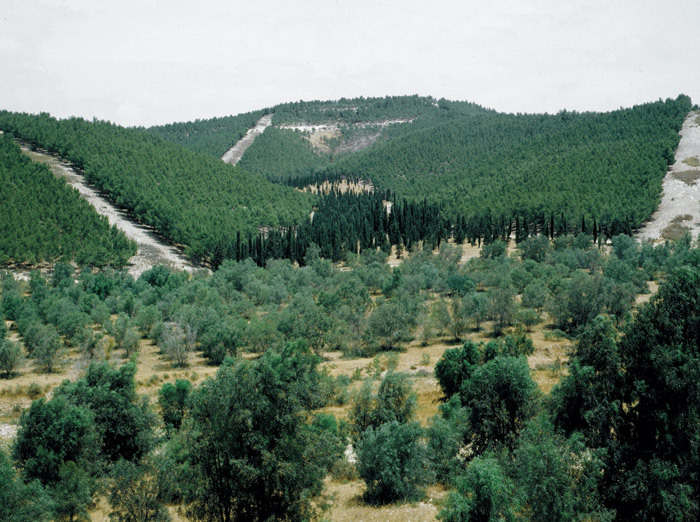 The Zionist reforestation of Israel–after centuries of Arabic denuding the land of trees, shrubs, and plants–is one of the greatest and most underpublicized environmental success stories on the planet. In the time of the Bible, the Holy Land was lush, green, “the land of milk and honey”. 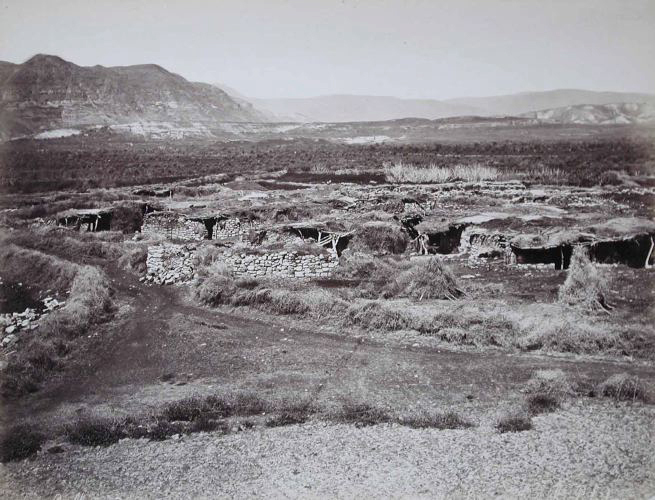 During the ensuing millennia, much of the Holy Land deteriorated into desert and wasteland. 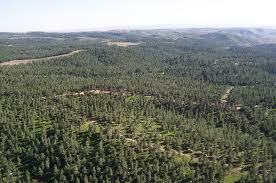 Forested Israeli desert. Photo “Trees for the Holy Land”. “9,000 Photos from 1800’s British Mandate of Palestine – with No Trace of ‘Palestinians.’” Palestine-Israel Conflict, Palestine-Israel Conflict, 13 Feb. 2013, palestineisraelconflict.wordpress.com/2013/02/13/9000-photographs-and-israel-from-1800s-with-no-trace-of-displaced-palestinians/. “Afforestation.” Wikipedia, Wikimedia Foundation, 24 Jan. 2017, en.wikipedia.org/wiki/Afforestation#Israel. Dregne, Harold E. “Cause and Effect.” Desertification of Arid Lands, Harwood Academic Publishers, Chur, Switzerland, 1983, p. 98. “The Reforestation Of Israel: One Of The Greatest Environmental Success Stories.” Israelstreetorg, IsraelStreet.org, 8 Feb. 2012, israelstreet.org/2012/02/08/the-reforestation-of-israel-one-of-the-greatest-environmental-success-stories/. “Theodor Herzl.” Wikipedia, Wikimedia Foundation, 17 Jan. 2017, en.wikipedia.org/wiki/Theodor_Herzl#Herzl.2C_Zionism_and_the_Holy_Land. “Trees for the Holy Land.” Trees for the Holy Land, Trees for the Holy Land, 2017, www.treesfortheholyland.com/order/. Israel is the most amazing country in the world. From nothing they rebuilt their country after WW2. 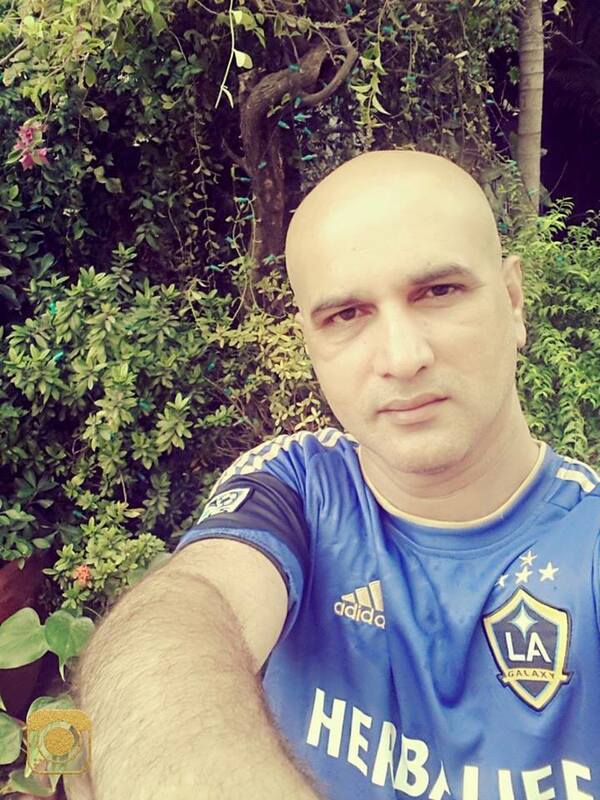 Yes the millions of trees, the hitech hub , the noble prize winners for science , the top notch IDF, Air force and Navy,the excellent quality of life .A country truly loved by G-d.